If the Emmys weren't enough of a tip for you, here's a reminder: Red is "in" this season.... in a very big way. 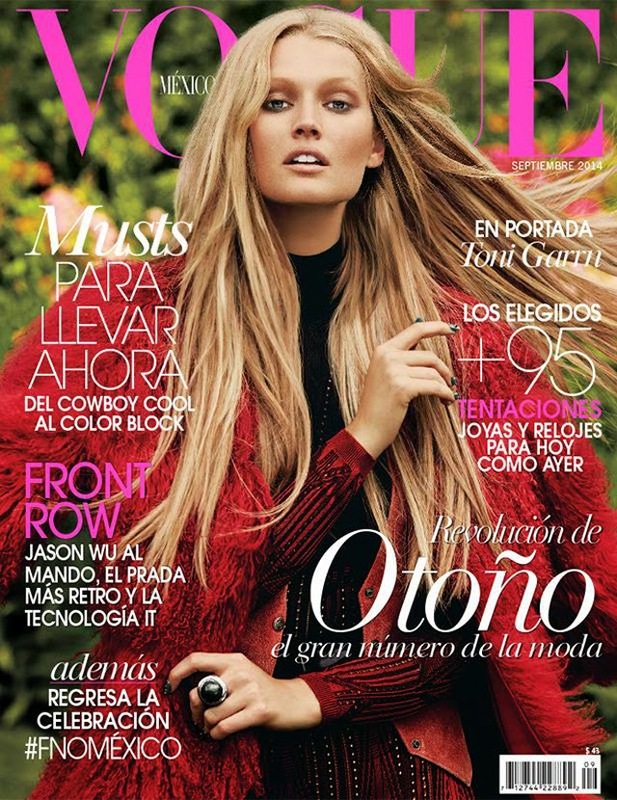 Vogue Mexico took the style memo seriously and dressed their cover model Toni Garrn in the colour from head to toe. And yes, I love every single layer. These are the type of covers that get me excited for the season ahead. We see dresses, shirts, vests and coats layered to perfection. The clothes take centre stage and the model truly is a showcasing the beauty of fashion, while everything else takes a backseat. Hair, makeup, the model - they are all background to the beautiful textures and colours created with the season's latest must have fashions. Bring on autumn!